Understanding what a business model is and why it’s so vital for new businesses. Constructing your own Business Model Canvas and identifying “Leap of faith” assumptions. 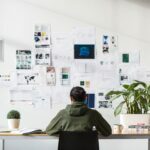 Bringing Lean Start-up to life… how to create hypotheses and experiments to validate and stress test your business model. Understanding if we have found a business model that works …..do we pivot or persevere? 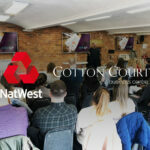 A tailored programme of masterclasses, to up skill yourself and your team in the latest business growth techniques. Networking opportunities – access to a structured and informal networking group operating across Lancashire. Specialist coaching from highly experienced and proven high growth entrepreneurs, focusing on the specific growth constraints your business is facing right now. Growth Action Planning – unlocking the potential in your enterprise. 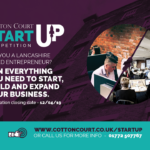 We’ve already helped more than 1,000 Lancashire businesses to start and grow and we can help you too. Book your place at one of our free events today.